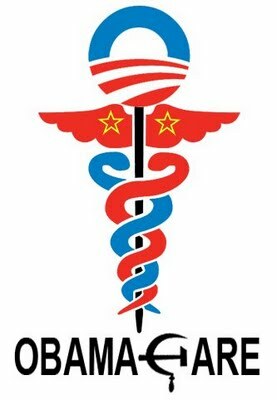 By John Vinci — Today is the second anniversary of the passage of Obamacare. And by our count there are now over one hundred Obamacare regulatory implementation documents that span over 10,000 pages and contain nearly 2.5 million words. You’d think that 2.5 million words would be enough to tell us exactly how Obamacare will work and operate. Not so, says Governor Gary Herbert of Utah. Utah was proud of the market-based healthcare reforms it had made prior to Obamacare. It was one of two states to have implemented an insurance exchange before Obamacare. But now Utah is working hard to figure out how their reforms will work within the context of Obamacare. And these regulations are just the beginning. Twice a year the Office of Management and Budget at the White House publishes a listing of most of the regulations it plans to publish during the following 12-month period. This document is called the “Unified Agenda of Regulatory and Deregulatory Actions.” Of the regulations planned for 2012 that OMB listed in its last Unified Agenda, issued this past December, 51 were related to Obamacare. Ten of those regulations have since become final rules. That means that we can expect at least 41 regulations (at various stages of the process) to be published this year. We say “at least” because this list is not comprehensive. For instance it doesn’t include an exchange accreditation regulation that was just received for review by the White House’s Office of Management and Budget on Wednesday. It also does not include, what has been referred to as the “contraceptive mandate” regulation which was issued in its pre-rule form just this week. Plus, the Unified Agenda plans for an additional 14 regulations to be published sometime after 2012. There’s much to dislike in Obamacare–more than can be covered in a single article. But it all boils down to a single bad idea: that the availability of health resources should not be regulated by prices in a free-market. The idea that you should be able to consume all the healthcare you want or need for free or for limited cost. For example Obamacare places limitations on the market by removing “cost sharing mechanisms” like copays and coinsurance for certain medical services and drugs. It limits how much insurers can make in profit or spend on overhead. And, despite statutory language to the contrary, it gives the Independent Payment Advisory Board the power to effectively ration Medicare. The IPAB will be instructed to reduce per capita Medicare spending, but it is prohibited from charging more in premiums, copays, or deductibles. Because Obamacare restricts the free market’s ability to allocate scarce healthcare resources based on price, other means must be used to make sure there’s enough healthcare to go around. So, while your visit to the doctor might be free, there are indications that limits may be placed on how many times you can see your doctor. Already in Massachusetts, whose law in many ways was the model for Obamacare, the number of family and internal medicine doctors accepting new patients is declining while those who have found such doctors must endure longer wait times. Scarcity of all resources, including healthcare, is a fact of life. The question is how will we regulate the allocation of those resources. Free markets allocate based on price. But the socialist reforms of Obamacare will regulate based on lengthy regulations, complex formulas, and, inevitably, longer wait times. John Vinci is a staff attorney with Americans for Limited Government and is the editor in chief for the www.obamacarewatcher.org website. This includes an additional 335,442 words of Obamacare regulations that have been released since our last survey of Obamacare’s regulation length. Gary Herbert, Governor of Utah, Closing Remarks before the American Action Forum event, “The Affordable Care Act Turns 2…Will it Turn 3? : Evaluating the Supreme Court Challenge and the Potential Fallout,” (Mar. 21, 2012). Josh D. Archambault, et al., The Great Experiment: The States, The Feds and Your Healthcare, (2012) 136.